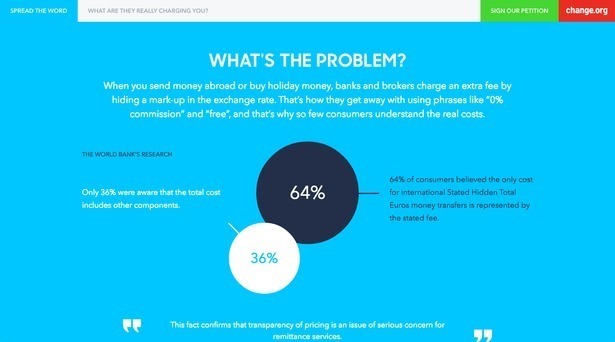 "For decades, banks and brokers have overcharged consumers in foreign exchange. 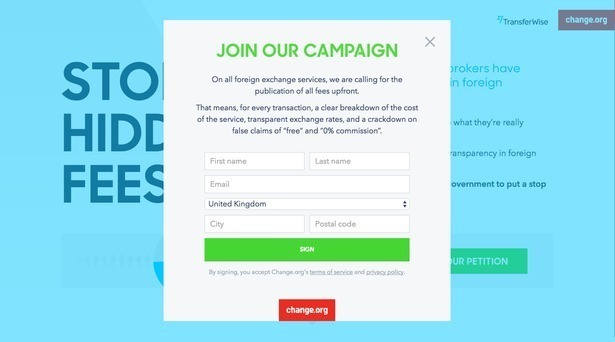 It’s time for transparency in foreign exchange. 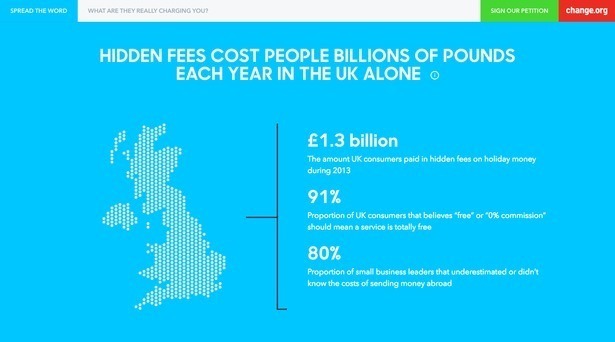 Sign our petition calling on the UK Government to put a stop to hidden fees." – this was the underlying message of the campaign. 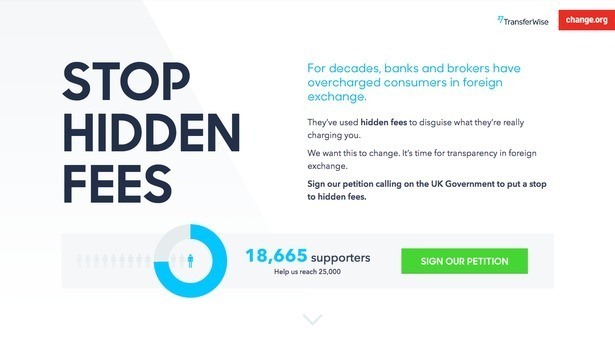 We helped TransferWise to visualize the message and build engaging minisite for the petition. The interest generated was huge, reaching up to 750 concurrent users on the site and collecting over 18,000 signatures for the cause.